Gulliver Oaks is a beautiful community in downtown Fountain Inn with easy access to Greenville and Simpsonville! 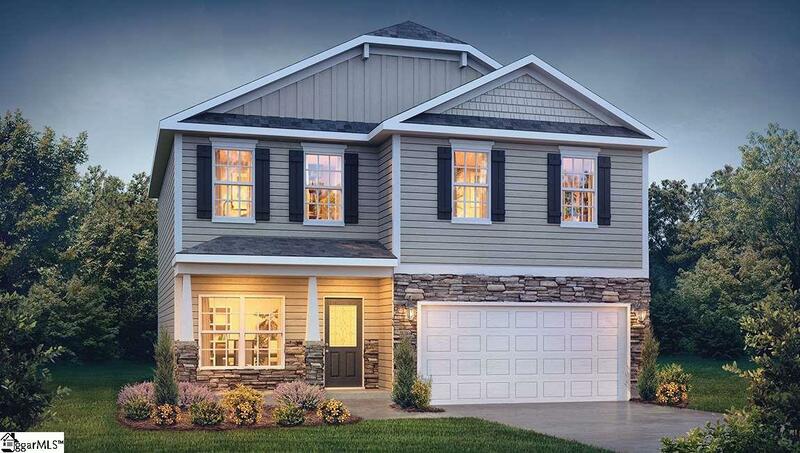 The Concord is an outstanding 4 bedroom home. The kitchen has lots of cabinet space, and features granite countertops, tile backsplash, recessed canned lighting, and stainless steel appliances! The spacious master bedroom has cathedral ceilings and a deluxe master bathroom. No carpet on the first floor! Corner lot offers plenty of extra outdoor space. This is an incredible value with all the benefit of new construction and a 10 yr. Home Warranty!